(Jobs) Goa PSC Recruitment for Various Department (Advt. No. 7 YEAR 2016) | IAS EXAM PORTAL - India's Largest Community for UPSC Exam Aspirants. 1. Online applications are invited for the below mentioned post. The last date for filling up the applications is 22.07.2016. Candidates should carefully read the “Instructions” available on Commission’s website before filling the application online. 2. 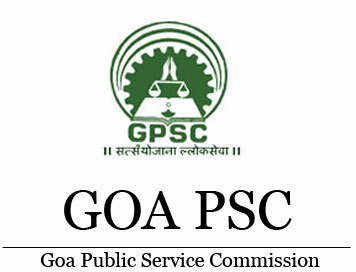 In case of non-availability of suitable candidates with the knowledge of Konkani for the posts in professional colleges, Consultants in Directorate of Health Services and highly technical/scientific posts, the Goa Public Service Commission may recommend a candidate if otherwise found fit and this requirement can be relaxed by the Government, on the recommendation of the Goa Public Service Commission, if the Government is of the opinion that it is necessary or expedient so to do. Scale of Pay: Rs. 37,400-67,000+8,700/-. (i) A recognized medical qualification included in the First or the Second Schedule or Part II of the Third Schedule (other than licentiate qualifications) to the Indian Medical Council Act, 1956 (Act No. 102 of 1956). Holders of qualifications included in Part II of the Third Schedule should also fulfil the conditions stipulated in sub-section (3) of section 13 of the Indian Medical Council Act, 1956 (Act No. 102 of 1956). (ii) Post graduate degree or equivalent in the concerned super-speciality or equivalent. (iii) At least ten years teaching and/or research experience in a recognized Medical College/Teaching Institution in the subject of super-speciality after obtaining the qualifying degree of Doctorate of Medicine (D.M. )/Master of Chirurgiae (M.Ch). Scale of Pay: Rs. 15,600-39,100+6,600/-. (iii) At least four years teaching/research experience in a recognized Medical College/Teaching Institute after obtaining the qualifying degree of Doctorate of Medicine (D.M. )/Master of Chirurgiae (M.Ch). (iii) At least one year teaching and/or research experience in a recognized Medical College/Teaching Institution in the subject of super-speciality after obtaining the qualifying degree of Doctorate of Medicine (D.M. )/Master of Chirurgiae (M.Ch). (i) A recognised Medical qualification included in the First or the Second Schedule or Part II of the Third Schedule (other than licentiate qualifications) to the Indian Medical Council Act, 1956. Holders of qualifications included in Part II of the Third Schedule should also fulfill the conditions stipulated in Section 13 (3) of the Indian Medical Council Act, 1956. (ii) Post Graduate medical qualification in the speciality concerned or equivalent. (iii) At least 3 years teaching experience in the concerned speciality as Senior Resident/Registrar/ Tutor/Demonstrator in a Medical College/Teaching Institution. Scale of Pay: Rs. 15,600-39,100+5,400/-. (i) A recognised Medical qualification included in the First or Second Schedule or Part II of the Third Schedule (other than Licentiate qualification) to the Indian Medical Council Act, 1956. Holders of educational qualifications included in Part II of the Third Schedule should also fulfill the conditions stipulated in sub-section (3) of Section 13 of the Indian Medical Council Act, 1956. Scale of Pay: Rs. 9,300-34,800+4,600/-. Essential: (i) Master’s degree in Physics/Nuclear Physics from a recognized University or equivalent. (ii) Diploma in Radiological Physics OR 2 years practical training and/or experience in X-Ray and Electronic equipment in X-Ray Department or Laboratory. Essential: (i) A qualification included in Part I or Part II of the Schedule to the Dentists Act, 1948 (16 of 1948). (ii) Post-Graduate qualification in Dentistry i.e. Master of Dental Surgery in concerned speciality/subject from a recognized institution or equivalent. (iii) Should be registered with Dental Council. Desirable: (i) One year teaching experience after post graduation in a recognized Institute. (ii) Three years experience as Registrar/Tutor/Senior Resident/Demonstrator in the concerned speciality of Dentistry in a recognized Dental College/Medical College with Dental Wing/Dental Institution. Essential: (i) A recognized Medical qualification included in the First or the Second Schedule or Part II of the Third Schedule (other than Licentiate qualifications) to the Indian Medical Council Act, 1956. Holders of educational qualifications included in Part II of the Third Schedule should also fulfill the conditions stipulated in Section 18 (3) of the Indian Medical Council Act, 1956 or a degree of Goa Medical School (MedicoCirurgiao). Desirable: (i) Experience in the general medical practice or the concerned speciality as the case may be. Essential: (i) Degree in Science with at least second class from a recognized University. (ii) Diploma in Photography or Certificate Course in Advanced Photography from a recognized Institution. Desirable: (i) Should be Computer literate. Essential: (i) Degree of a recognised University. Desirable: (i) Post Graduation in Business Management will be given preference. The last date for filling up the applications is: 22.07.2016.